Rev. Dr. G. Emery Hurd is our Lead Pastor and an ordained elder in the Brethren Church. He holds a bachelor’s degree in Family Services, and Master’s degrees in Divinity and Psychology. He also holds a Doctor of Ministries degree, with special certification in Transformational Leadership. Among his many roles within the Cheyenne Brethren Church, Dr. Hurd also serves as the National Moderator of the Brethren Church. He is involved in a number of key leadership roles throughout the denomination including being the Western Regional Coordinator for Mobilize, Chair of the National Ordination Council, and a member of the Western Regional Leadership Team. 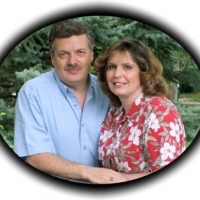 Dr. Hurd and his wife Susan have been in ministry at the Cheyenne Brethren Church for 37 years. He helped to pioneer such community programs as the Chaplaincy Programs for both the local police department and the sheriff’s department. He also helped to charter the Cheyenne Evangelical Association, a gathering of local pastors and leaders in the greater Cheyenne community. Dr. Hurd is a contributing editor to the Wyoming Tribune Eagle and has had several articles published concerning issues of both local and national importance. Dr. Hurd and his wife Susan have been married for 35 years, are the father of two great daughters and recently became grandparents.